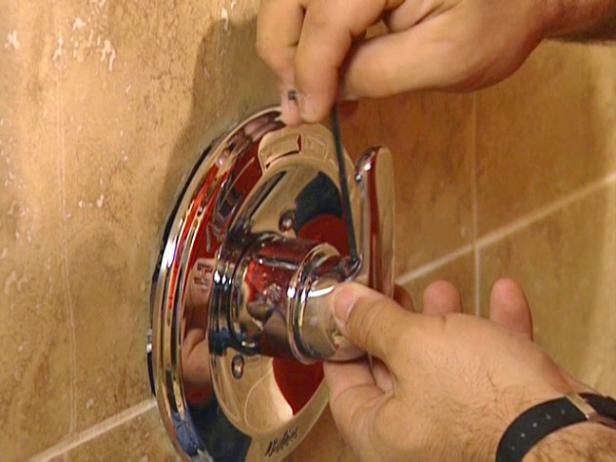 Measure the height of the shower valve from the floor and then its distance from the wall so that you can locate the shower valve on the other side of the wall. If the shower backs up to a closet, clear everything out first. 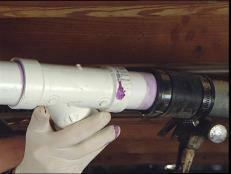 Score the baseboard and shoe molding with a utility knife to break the caulk loose. Remove them both with a flat pry bar. To pinpoint where you want to open the wall, transfer the measurements taken from the shower. To make sure you are where you need to be, locate the studs in the wall with a stud finder. 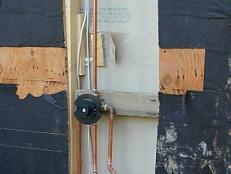 Using a keyhole saw, cut a horizontal line into the drywall between the wall studs, just above the valve. Once you hit the studs, use them as a guide and cut the drywall all the way to the floor. Be careful and keep the drywall in one piece. 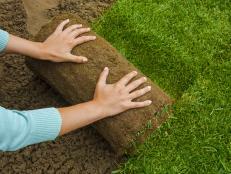 You will be able to use it as a patch when you need to close the wall back up. You will now have room to work. 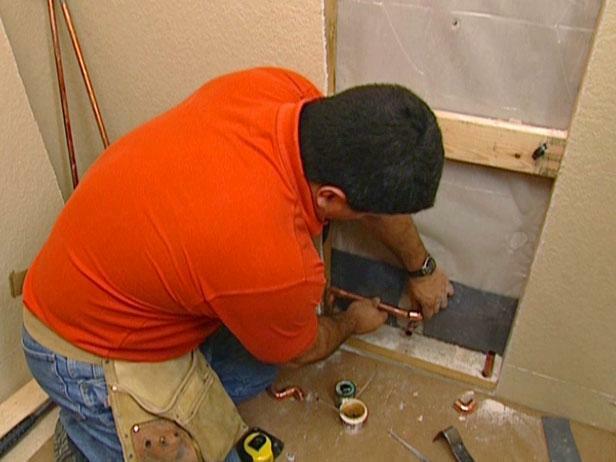 Once the closet wall behind the shower is opened up, it is time to drill out the holes in the tile and stub out for the lower plumbing connections you are going to need. First, you need to remove the faucet controls. 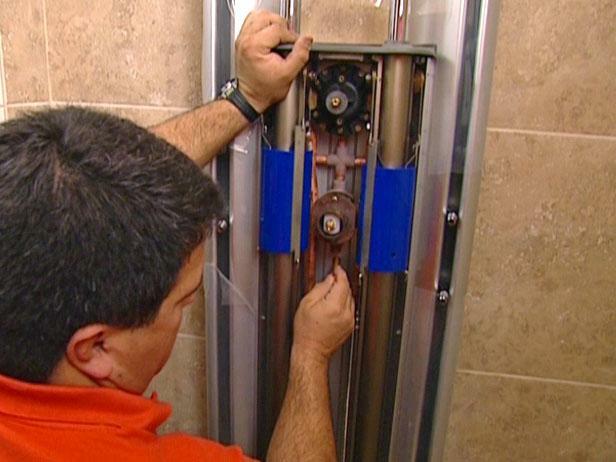 Remove the screws on the trim plate of the shower valve. Remove the hex screw on the handle (Image 1) in order to remove the handle and plate. 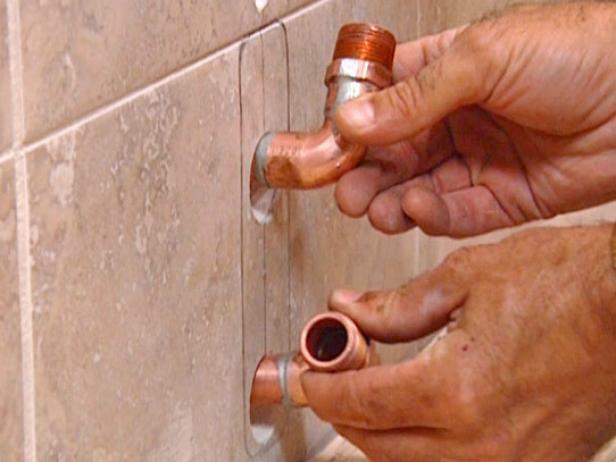 Remove the shower valve by cutting the 1/2" copper pipes with a pipe cutter (Image 2). 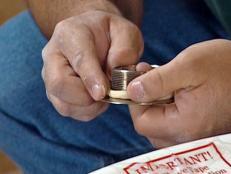 Once the area is clean, butter the back of the tile with thinset, then press it onto the wall. Set the spacers around the edges of the tile to line everything up. 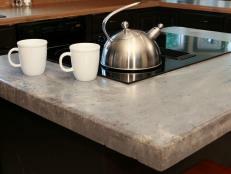 Once the thinset has set, apply the grout and wipe off the excess. 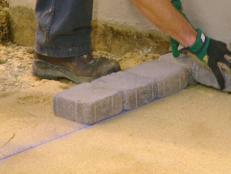 Once your grout cures for at least a week, you need to be certain to use a good quality grout sealer. 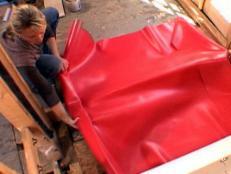 This is especially important if you are doing a shower enclosure. Locate the center of the shower wall. Use a level to strike a vertical line in the middle of the wall. 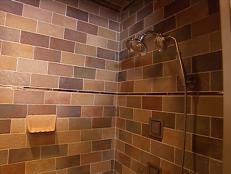 Place the shower unit on a shim to raise it slightly off the shower floor, then slide it against the wall and use it as a template to mark the holes for the bolts and for the water lines (Image 1). Cut the holes for the anchor bolts using a 5/8" ceramic tile-cutting bit. 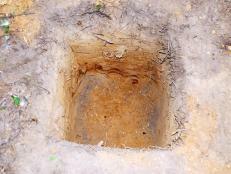 Use a 1-1/2" diamond hole bit and cut inside the boxed area for the plumbing (Image 2). Preassemble the pipes to place in through the wall. It is just male adapters soldered to the pipes. 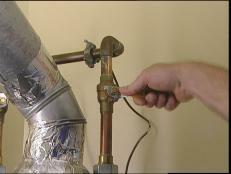 One for the top pipe, which is cold water, and the bottom pipe, which is for the hot water. These pipes will not line up; they need to be offset slightly away from each other so that the pipes can easily be connected to the shower system when it is in place. 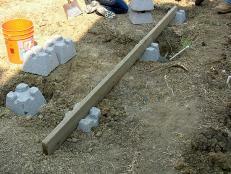 Cut the cold line about 5-1/2 inches from the floor plate and the hot line at 3 inches from the plate. 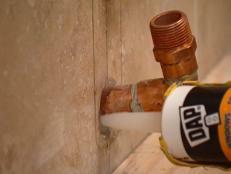 In the wall, cut the water lines at the 3/4-inch size line. 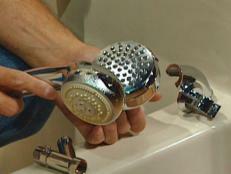 You will need the full pipe for this many showerheads. 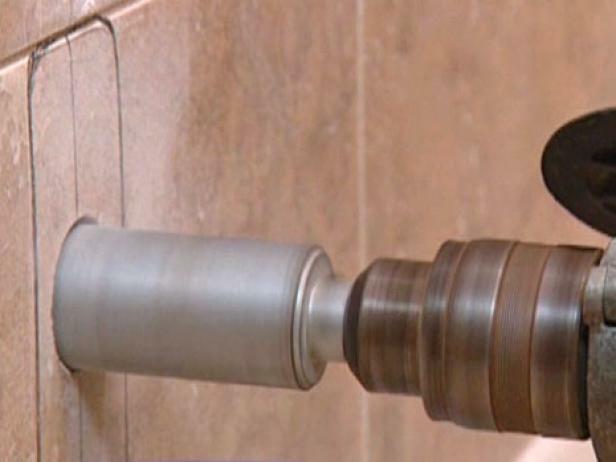 Use 90-degree elbows to turn the lines back toward the supply lines for the shower system. 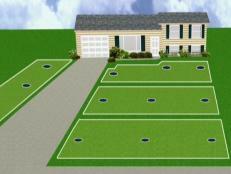 Three-quarter-inch supply lines with minimum 50 PSI of pressure are required for best performance of the sprays with water heads. 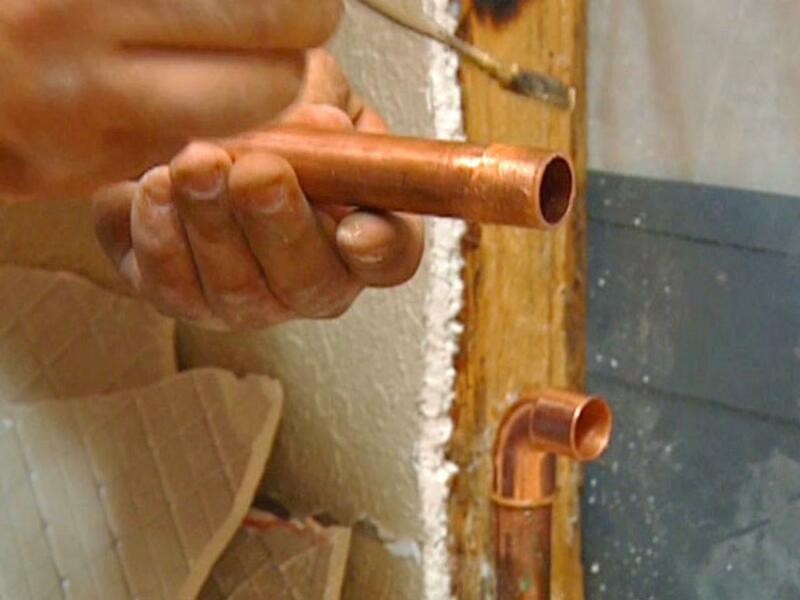 Solder the copper pipes into place. Sand the fittings and copper line with plumbing sandpaper. Apply soldering flux (Image 1) and connect the pipe to the fitting. Sweat the pipes. 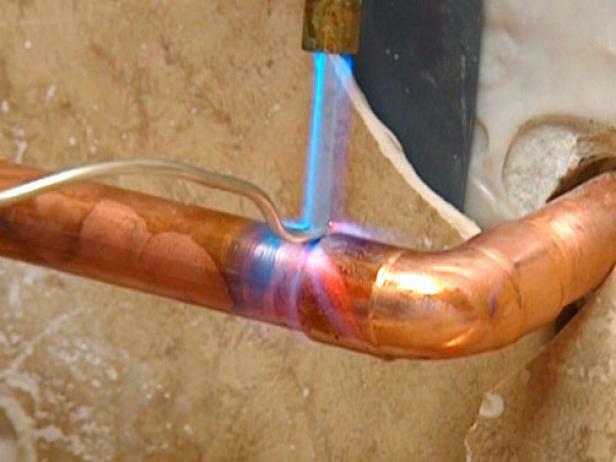 Heat the copper pipe with a propane torch until the solder is hot enough for it to liquefy so that it fills all of the gaps between the fitting and the pipe (Image 2). 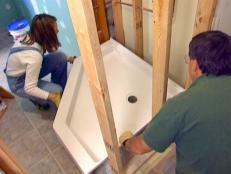 Here's how to get the plumbing ready to go for a new claw-foot tub. This outdoor shower is tiled with easy-to-install river rock mesh squares, giving it an elaborate look in a fraction of the time.